I have been traveling now for 14 years, sometimes enjoying comfortable stays in developed countries but, much more frequently, in parts of the world where a sensible traveler should perhaps worry about the available medical facilities. So maybe I have been lucky. I have used doctors abroad for various strange infections and other minor worries and thankfully the interesting pills or creams prescribed have always done the trick, sometimes to my complete surprise! But I have never had anything serious happen to me. Bali is beautiful and we spent 12 great days checking out the local markets, visiting rice fields, scuba diving and of course sampling all the local food. My symptoms started with a cold and some serious food poisoning (those street vendors and tiny restaurants may have been a little too authentic), but nothing I haven’t survived before so I didn’t worry too much. After a week I even started to feel better, well enough to travel from Bali to Java to meet up with my family in Bandung, one of the larger cities in Indonesia. But on the day we planned to leave Bandung I simply couldn’t get out of bed. I woke with a terrible fever and my body was aching all over, not the best condition to face into an 8-hour train journey. So we decided to delay our departure by 24 hours, with me convinced a lazy day in bed would get me back on those tracks. Unfortunately, it didn’t work out that way. With me feeling progressively worse, the friendly hotel staff ended up calling a doctor who, after a blood test, confirmed my fate: Dengue fever. Having traveled to many places where Dengue is common and having always seemed to be the one who gets bitten the most, I was determinedly philosophical: this was bound to happen at some stage so why not now? Well OK, let’s get it over with then! This just means a few more days in bed with a fever, right? Unfortunately for me that was not the case. 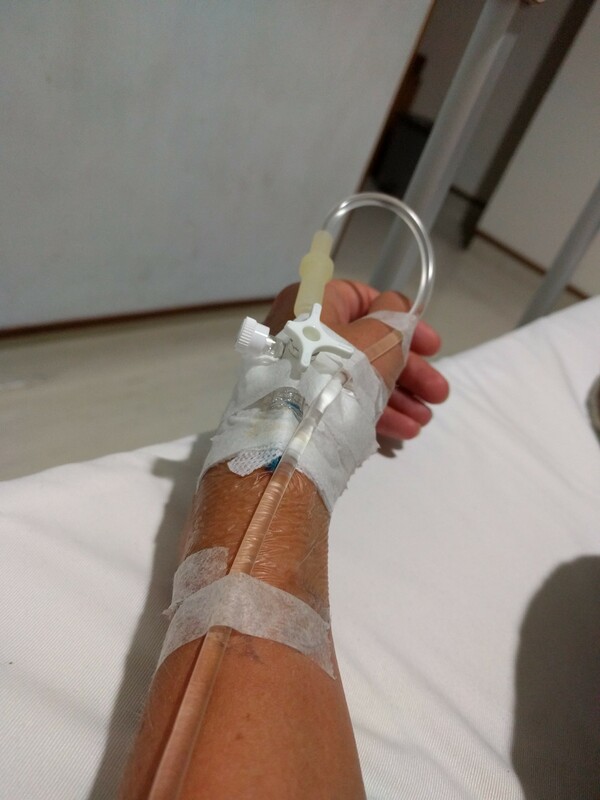 Although for most patients beating Dengue fever simply means staying hydrated and resting a lot, I quickly learned that some versions can be quite dangerous and even lethal. It’s not the dehydration that carries the risk in these cases but internal hemorrhaging. Blood platelet (which enable your blood to clot and stop bleeding) counts can drop very quickly leading to a high risk of internal bleeding. And guess what? My platelet count wasn’t working in my favor! Somehow though I managed to stay out of the hospital for another two days. I have to add here that I have a very irrational fear of hospitals and needles so I’m sure my “no, I don’t want to go” might have come out so aggressively that my sweet young Indonesian doctor who kept coming to my hotel room to check on me was convinced I’d attack her if she’d try to get me out of my bed. But after two days I had to admit defeat. My blood results that morning were seriously worrying and I had never felt worse in my life. 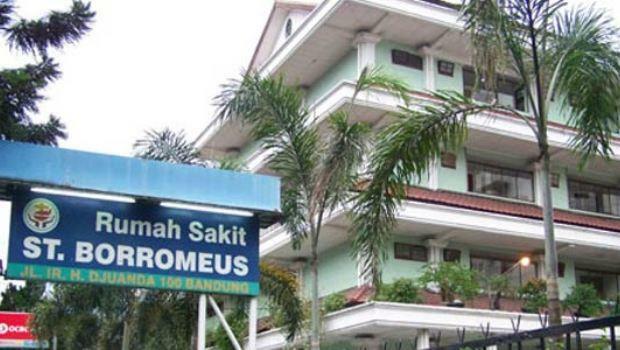 Time for the Indonesian hospital to show me what it’s got! Well as it turns out: very friendly nurses who speak very little English, a “VIP private room” for the foreign patient and a doctor who quickly got annoyed by my Western need to know why he is doing “X” or why he is not doing “Y”. 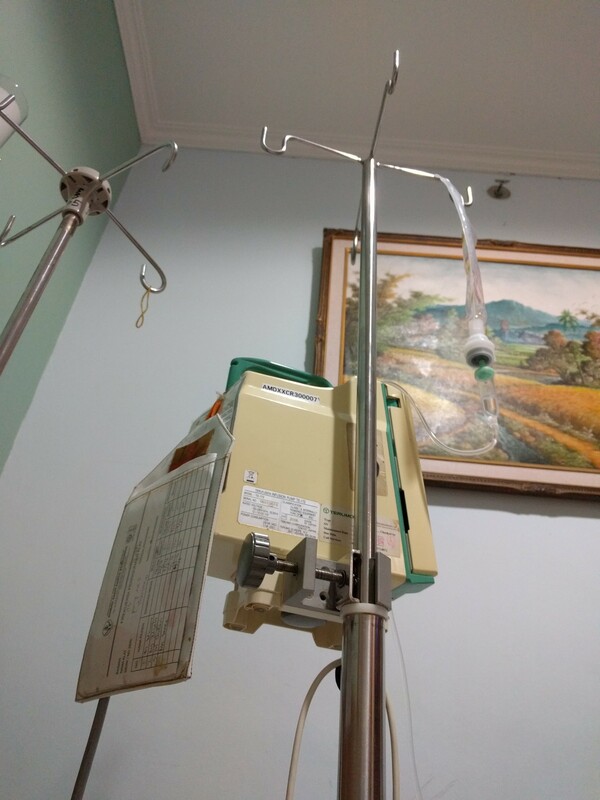 For the next four days my platelet count got worse and worse with even the nurses starting to get anxious, and then, just as quickly as I got ill, everything turned for the better. Two days of treatment later I was well enough to leave hospital and not long afterwards catch a welcome flight home. Weeks later I am still recovering, but looking back, I realize how lucky I was. For starters, I was in a big city with decent facilities. The hotel staff were incredibly helpful from arranging a doctor to helping with translations in the hospital. The hospital itself may not have been as modern and well equipped as its Western counterparts but it was by no means bad and I was grateful I had not fallen ill in some remote village. My feeling of good fortune increased after I got back home and met other veterans of exotic hospital adventures: I thankfully avoided the multi-legged creatures that kept some patients company, my hospital had reliable electricity and as far as I could tell no part of it was in imminent danger of collapse. In hindsight, I really do feel I got away with it lightly. Much worse things could have happened during all my years of traveling. I’ve been in some crazy situations (as many travelers have) and am still here safe and sound! Use mosquito repellent all the time! The mosquitoes who spread dengue prefer to bite during the day. So don’t think, like I did, you can get away with just spraying mosquito repellent around sundown. Use it throughout the day and use good quality products. I highly recommend Sawyer’s insect repellent. Their Picaridin insect repellent is much nicer to use than the products containing DEET that most people are used to. Although many travelers don’t seem to be familiar with it yet, studies have long shown Picaridin to be as effective as DEET in repelling mosquitoes (including the species which transmits the Zika Virus, Yellow Fever, and Dengue Fever). Unlike DEET, however, Picaridin is effective against flies as well, is non-greasy, and does not dissolve plastics or other synthetics. Plus it doesn’t have the strong smell the DEET based repellents have. The permethrin insect repellent is also a useful option to use in combination with a topical insect repellent since it can be applied to a variety of fabrics and lasts 6 weeks. For years my dedication to “low budget traveling” went so far that I never even had travel insurance. But believe me, if you are stuck in a hospital bed and even opening your eyes hurts, you really don’t want to worry about how to pay for the next night in the hospital or for the unexpected changes to your travel plans! Dengue fever is a mosquito-borne infection characterized by severe headaches, muscle aches, fever and malaise. Your body can hurt so badly that it can take over 15 minutes just to put your clothes on in the morning. The infection causes a severe flu-like illness (dengue fever) and sometimes a potentially lethal complication called dengue haemorrhagic fever, which I was unfortunate enough to end up with. Global incidence of dengue has grown dramatically in recent decades so there is definitely reason not to underestimate it! The mosquito lives in temperate climates: Latin America, Asia, India, Africa and the Pacific Islands. Thank you for sharing this experience, Sanne! It’s a good lesson to share with fellow travellers. Falling ill on the road is a real nightmare, but so good to hear everything worked out well! This is my worst nightmare when I travel. So far I have only been to 2 hospitals during my travels, and both of them were very good experiences, in India and in Cuba. It’s so nice how local doctors are always taking good care of foreigners, and give them more attention than to the locals. Yes, in my case they really did as well! The nurses especially were so nice to me and even the hotel staff did whatever they could to help me before I went to the hospital. i have heard of dengue, but didn’t know it came from mosquitoes. I started traveling to some lesser developed countries these past few years, but never got any shots until going to Cambodia this year. In addition to the shots, I had to buy travel insurance in order to go on the group tour. Glad you’re recovering! I didn’t even think about mentioning you should always get your shots because I thought everyone knew that 😉 But yes, making sure you get all the recommended vaccines and good travel insurance is definitely crucial when traveling to developing countries. And let’s hope they come up with a vaccine for dengue soon. Falling sick and getting hospitalized, is probable the worst nightmare of a traveler. Hope you are none the worse for it. It does help to take precautions, but the best precautions can sometimes come to naught in such situations. Thanks a lot Vyjay! And you are right, taking precautions is always a good idea but you can’t prevent everything and if you travel often enough something is bound to happen during your travels… So I still feel I am lucky nothing worse happened and that everyone around me took such good care of me. I visited Indonesia, but luckily didn’t catch anything or get stung. Glad you are feeling better. I wouldn’t have been as brave as you in that situation. I’m glad to hear that you are feeling better though. I always forget to bring mosquito repellant but I’ll definitely be looking into Sawyer’s a bit more for my next trip abroad (and at home)! Nasty. Glad to hear that you got through it, and that you were able to be both philosophical and glass-half-full about the whole ordeal. If I was landed up in a hospital in a strange country with a massve language barrier issue I definitely would have freaked out! Great tips on preventing mosquito bites too, which I also swear by. Getting sick away from home sounds really terrible. That’s why it is only important to get travel insurance. Good thing you’re safe!